Our 8 x 15 Trifold Screen is the perfect addition to your BP screen set! 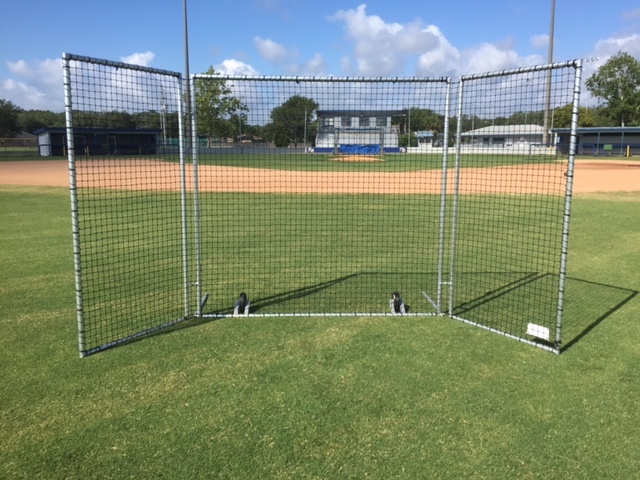 Our 8 x 15 Trifold Screen is ideal for a BP shag screen behind second base. Pro wheels allow easy maneuverability on and off the field. All Burbank frames are made here in the USA at our facility by an experienced welder.